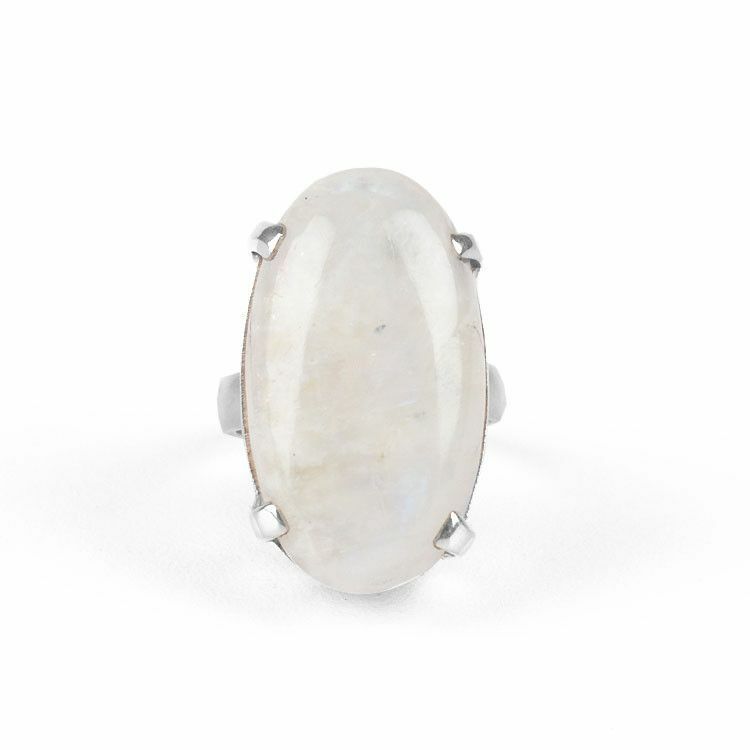 This high-set, size 7 ring features a natural moonstone gem in a four-prong setting. 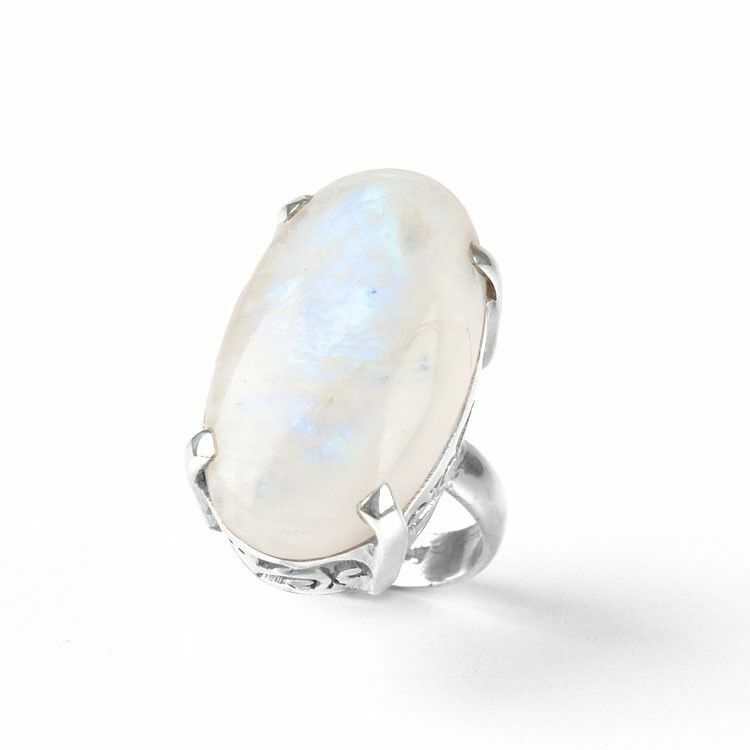 The white/blue moonstone is about 1" long, 5/8" wide, and 1/4" thick. 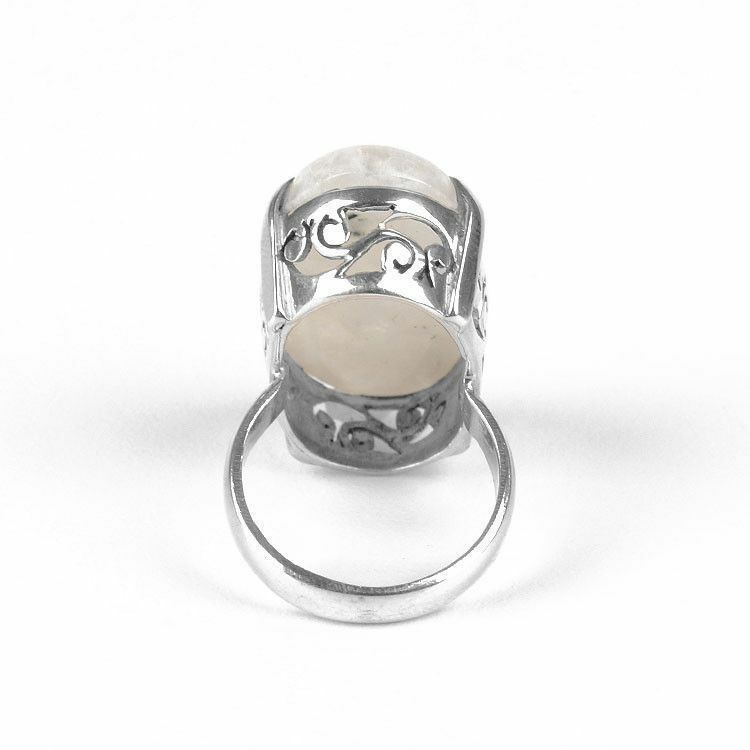 The sterling silver setting has been stylized with swirls. 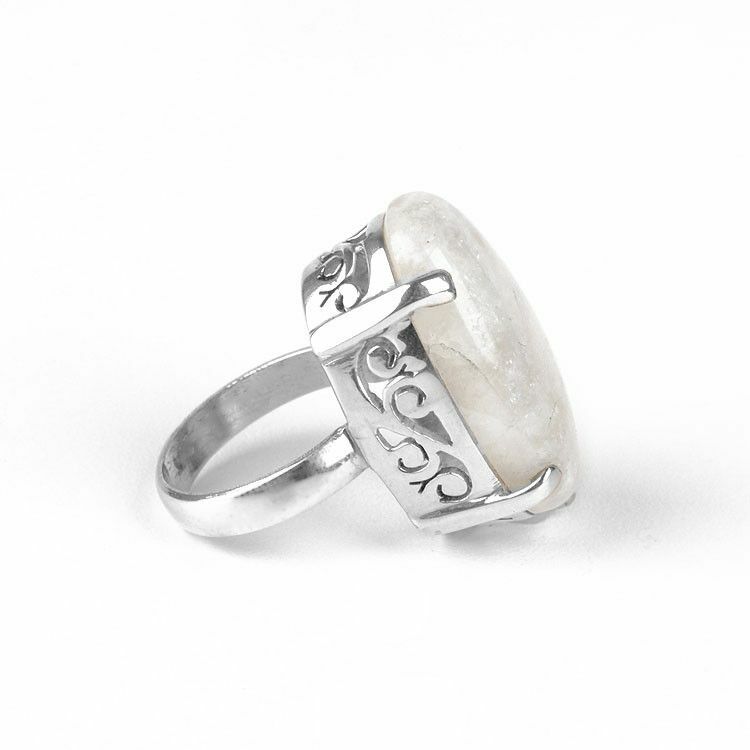 This piece of bold jewelry will have many notice; it sits 1/2" off the finger!